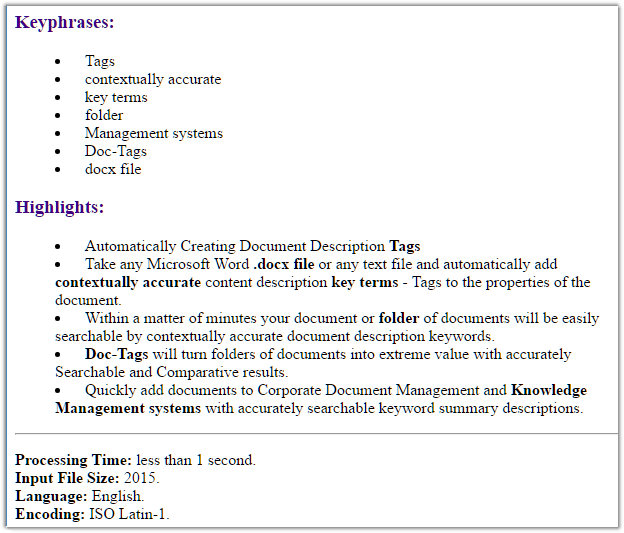 At the heart of Doc-Tags is a critical process, xAIgent, which consumes any subject domain text and turns that text into a concise list of descendingly important keywords - a process that has uncommon accuracy and contextual validity giving the user an objective 30,000 foot insightful understanding of what that text is about. 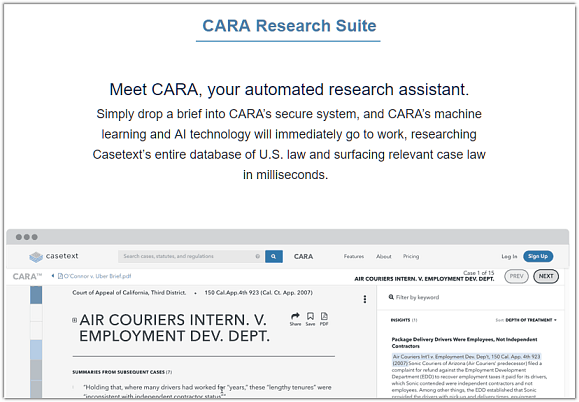 All, with automated precision. 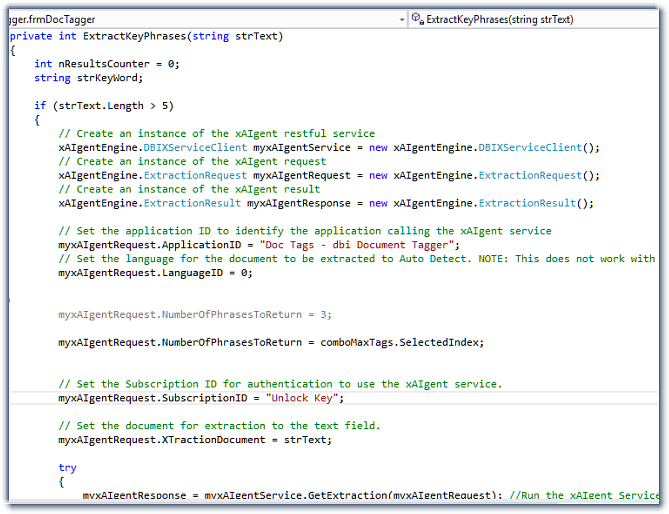 within the xAIgent RESTful API. 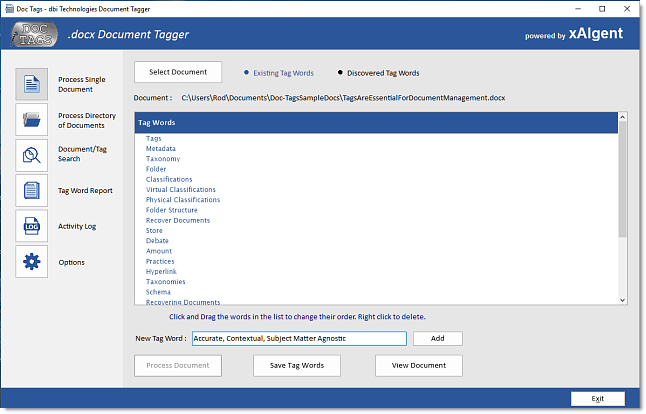 The automatic document tagging service of Doc-Tags is a starting point - an example of how the xAIgent utility can be exercised. Upon further evaluation you will find that xAIgent is incredibly adept at surfacing key terminology that often goes unseen by the human eye. Searching for linguistic patterns can be like searching for a needle in a hay stack - not any more. xAIgent solves that problem in a heart beat and with automated precision. Expose repeatedly used terminology that may be cloaked with incongruent language.